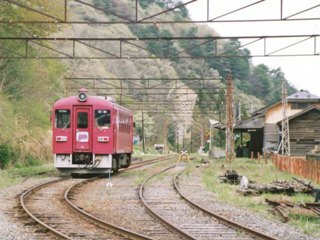 The management of JNR Oohata Line was transfered in 1985, but abolished in 2001. DMU Kiha-22 type was handed over. Single Railbus was used. the railway could not survive until the open of Shinkansen, and Operation ceased in 1997. Passenger service terminated in 1992, though the railway itself exists for limestone cargo transportation. Freight train operated for Hosokura zinc mine and agricultural product. After the closure of the mine, the line was rationalized with diselectrification, however abolished in 2007. Commuter line between Hitachi and Johoku-Ota city, but abolished in 2005. DMU run along with Mt.Tsukuba. Abolished on 31 Mar, 1987, the last day of Japan National Railway. Main cargo of this railway was fuel for Japan Air Self-Defense Force, but abolished in 2007 due to lost of freight and cut of subsidiary. It was a micro railway with the length of only 4 km in last days. Abolished in 1999. 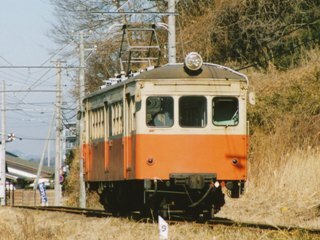 It was a Tramway in Niigata city area. Abolished in 1999.